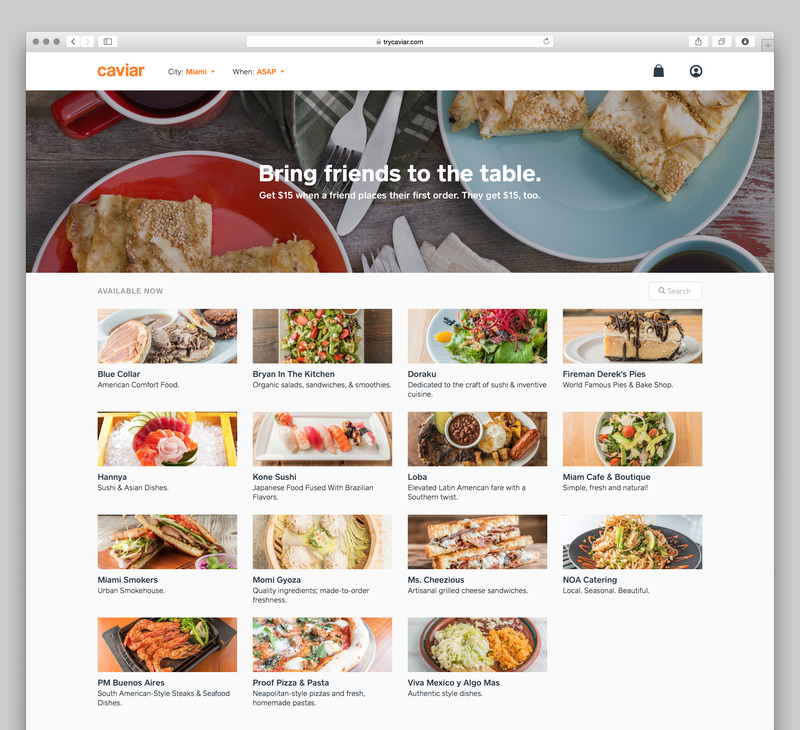 MIAMI, FL--(Marketwired - April 15, 2015) - Today, Caviar, the easiest way to order from America's best independent restaurants, launched its high-quality delivery service in Miami, Florida. As one of the most culturally diverse cities in the world, Miami boasts an array of rich cuisine. Now, Miami residents can order some of the most popular dishes that their city has to offer from local favorites like Blue Collar, Ms. Cheezious, Proof Pizza & Pasta, Fireman Derek's Bake Shop & Cafe, and more, for fast and efficient delivery at work or at home with Caviar. "I've always wanted Blue Collar to offer delivery, and many of our guests have requested it repeatedly," said Daniel Serfer, owner and chef at Blue Collar, located in the Little Haiti section of Miami. "Until we linked up with Caviar, we never felt there was an option to deliver our food with the proper attention to service it deserves. Caviar has such great customer service and an impressive roster of restaurants that we feel really confident they can preserve the Blue Collar experience and deliver it straight to our guests' homes. With Caviar's streamlined app and friendly couriers, we can just focus on doing what we do best and continue to cook guest favorites, from our spicy oxtail, to our shrimp and grits. " With Caviar, restaurants are able to grow their sales without having to worry about managing complicated delivery logistics. Caviar partners directly with each restaurant to provide direct access to a fleet of couriers, and by showcasing each eatery on Caviar's website, Caviar serves as an additional marketing channel for restaurants and makes them easily discoverable to new customers. Miamians can easily place an order from beloved local restaurants via Caviar's website or free mobile app for Android and iOS. Once a customer places their order, they can track the status of their order and follow along with their courier via GPS once it's out for delivery. Caviar is a great solution for corporate clients and large groups too, as it allows anyone to plan for a delivery up to a week in advance, and share a cart with friends, family, and colleagues. 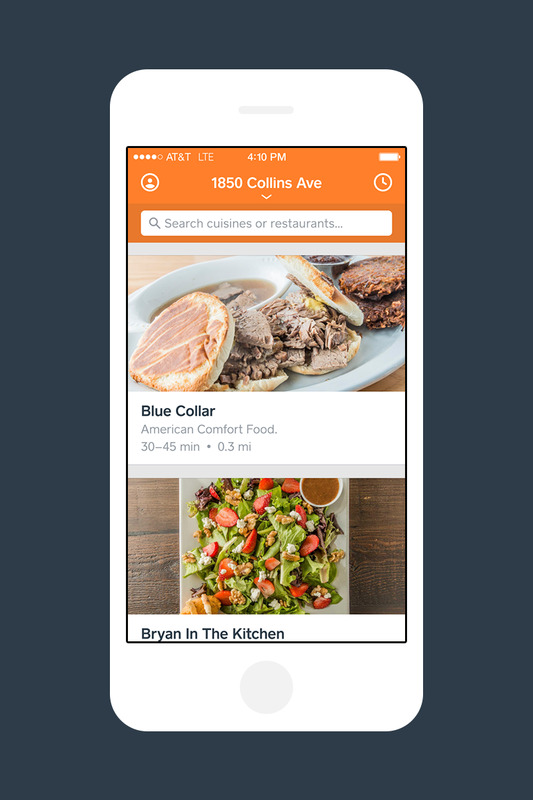 Founded in 2012, Caviar now brings delivery to diners in 18 markets across the country. 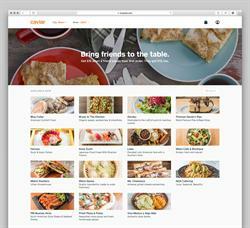 Caviar is part of Square's full suite of tools and services for businesses, enabling restaurants across the country to reach more customers, grow their sales, and expand their reach.